This year, Friends of the Valdese Rec is holding monthly workdays at Valdese Lakeside Park. Our first one, on April 6, brought out 9 volunteers for 2 hours of service. 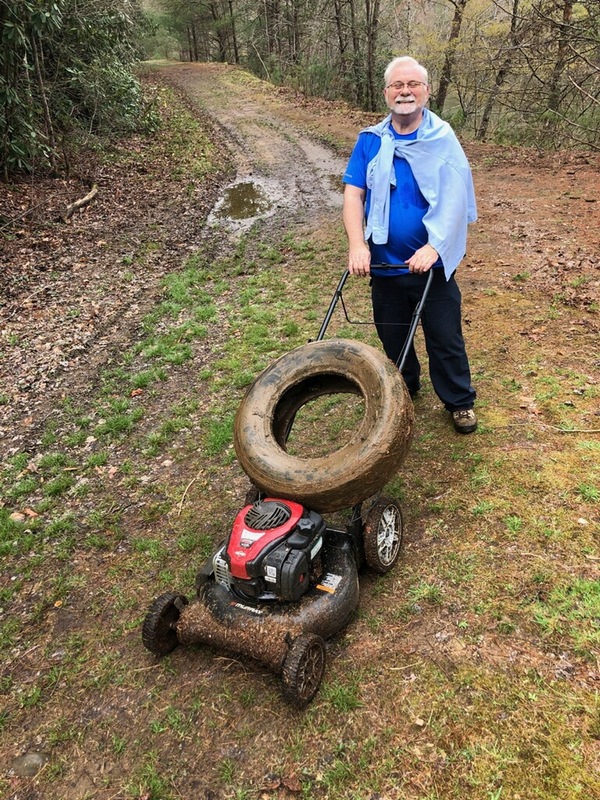 They cut grass, did weed eating, gathered 12 bags of trash, pulled out 3 tires from lake. There are plenty of choices for what you would like to do…..
Workdays – held the first Saturday of the Month – will start at 9am and finish by 11am. This entry was posted in Uncategorized on April 6, 2019 by Beth Heile.